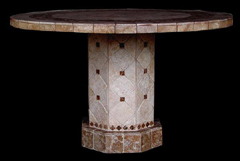 The great thing about all of the bistro table designs shown below is that they can be completely customized into any size and shape you want. 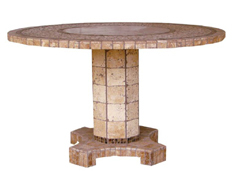 Even if you are just looking for a small corner bistro table, or something decorative and subdued, we can craft it for you using any of the 40 styles shown below as a template. 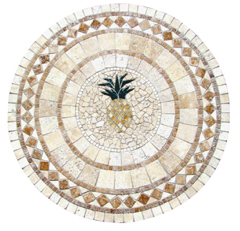 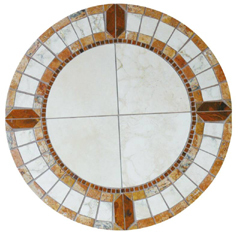 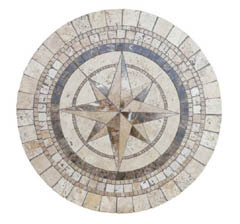 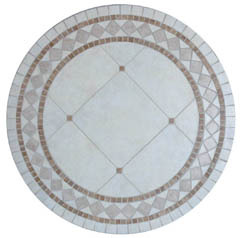 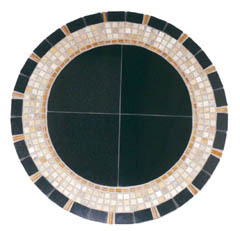 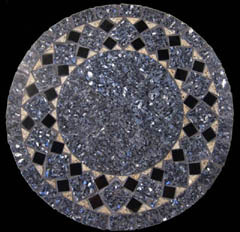 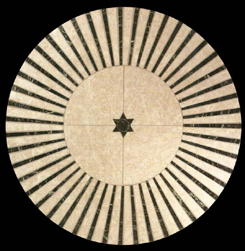 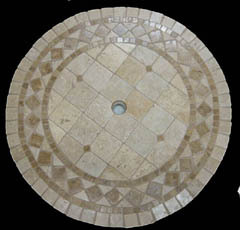 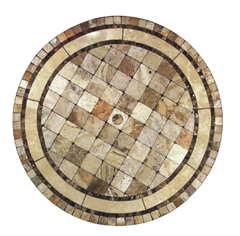 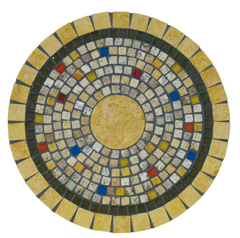 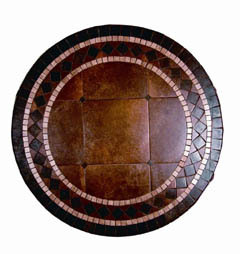 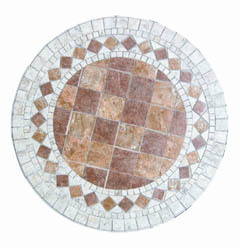 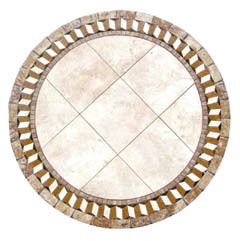 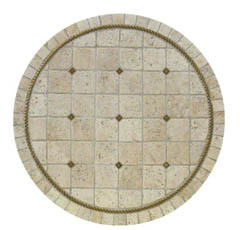 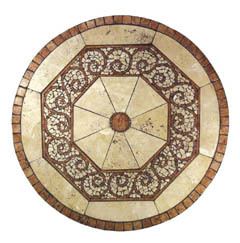 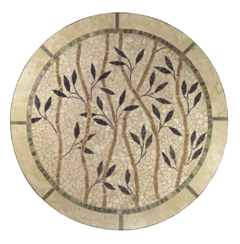 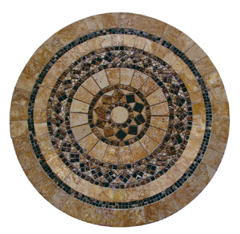 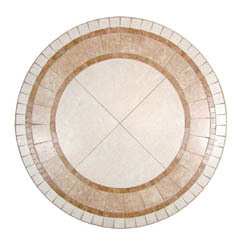 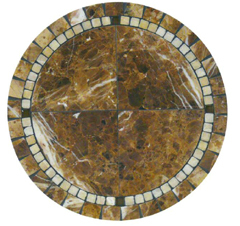 This natural bistro table top design features mountain born chips of real stone, arranged in a mosaic pattern to create a powerful contrasting effect of light on dark, which stretches in radiant loops from the starry center of the piece. 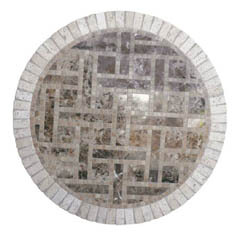 The Hyatt bistro table design is a mosaic pattern of subdued browns and grays, arranged in an intricate laberynthine pattern that draws the eye in, creating a sense of mystery and adventure within the geometric surface of its face. 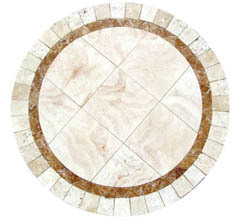 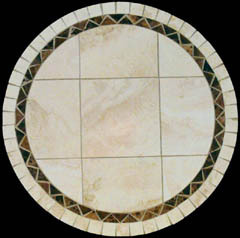 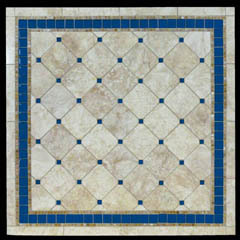 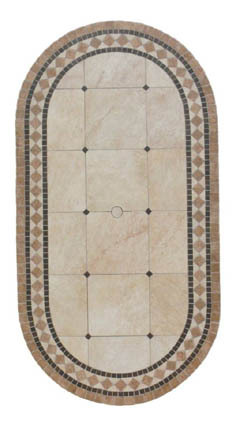 Customize this design into virtually and size and shape you can imagine. 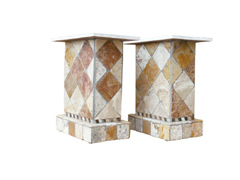 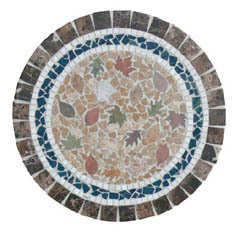 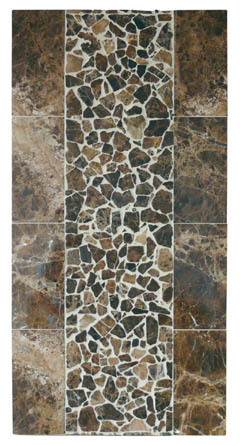 A multi colored spectacle of falling leaves alighting across a subdued natural stone backdrop, creating a merry and attractive image that can adorn the surface of a bistro table, custom crafted to your exact specifications. 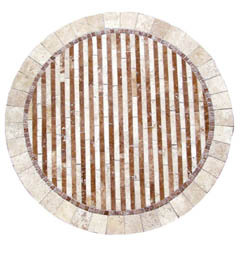 A stunning striped selection of rusty browns matched against stony white gray hues. 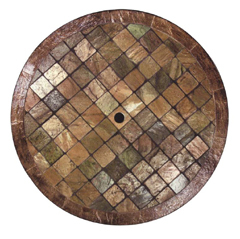 The result is an eye catching simulation of deep jungle locations where shafts of bamboo grow thick and wild. 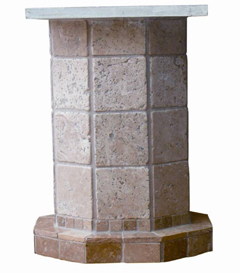 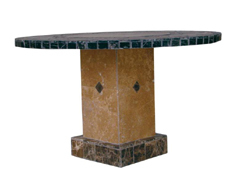 Our custom bistro tables are crafted using thin pieces of natural stone fixed to a light weight highly durable core making the piece weigh less than any competing stone table model. 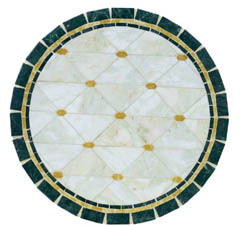 They can optionally be fitted with an umbrella hole in the middle, or an illuminated onyx ring along the outer edge.